On the enchanting Ruaha savannah it's rare that we've seen other vehicles. Rugged trails take you on an adventure through a park that's liberally filled with big cats and unusual antelopes. 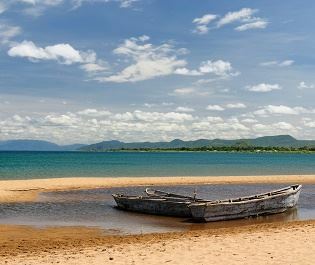 This is one of East Africa's best parks and it's a wonderful destination for first-time and regular safari goers alike. 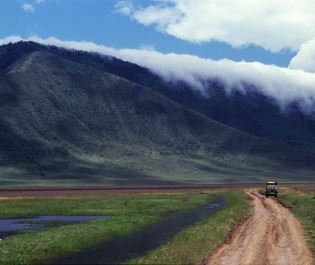 Ruaha is home to beautiful landscapes. 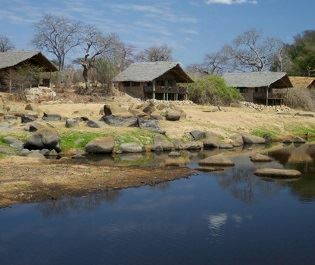 Ruaha stretches for almost 8,000 square miles in vast, semi-arid southern Tanzania. 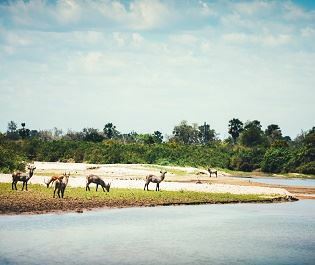 Ancient baobab groves dot the scorched savannah and you'll spend most of the safari sticking close to the Ruaha River, the great life-giving waterway that supports Ruaha's fantastic abundance of wildlife. Elephants dominate the banks and we love taking a picnic to a herd having a bath, with exuberant youngsters playing beside stoic old females. Which animals will you see in Ruaha? The park's vegetation attracts varied grazers and you'll see some very impressive horns. Kudu and sable antelope are the most handsome, but waterbuck, hartebeest and Grant's gazelle are equally inspiring. With such a diverse dinner menu to choose from you'll find that predators abound. Lion prides are exceptionally large and we'll always remember spotting 24 individuals chilling under a single baobab tree. The lions roar to ward off the abundant black-backed jackals and spotted hyenas. And you'll find the open plains to be the perfect place to spot cheetahs throwing up dust as they accelerate towards an impala. The best way to see everything Ruaha has to offer. 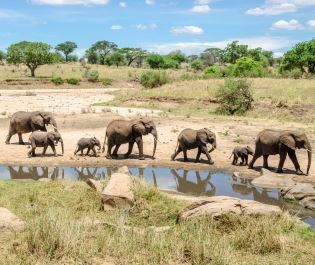 We recommend flying in to Ruaha and you really need three days as this is a huge park, especially given the exclusive opportunities for walking safaris and night time drives. 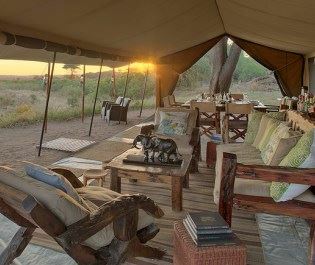 If you have longer, consider two nights in two camps at opposing sides of the savannah, maximising your chances of witnessing the big cats. Sometimes we're surprised about how few visitors make it to Ruaha, but we're definitely not complaining. It creates an exclusivity, combining the intimacy of a private reserve with the space and abundance of a large national park. 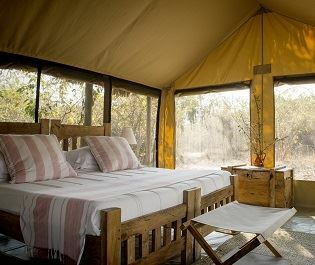 This makes for a luxurious yet excellent-value destination deep in the wilderness. 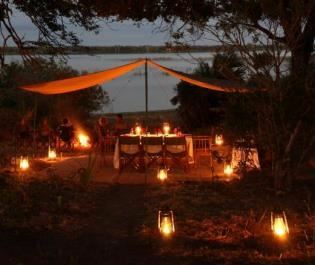 Come June to December for the best game viewing, or January to May for pretty green landscapes. 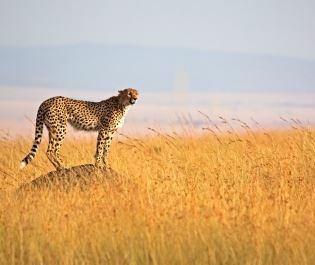 On a first visit to Africa you'll love the personal encounters with all the famous animals. 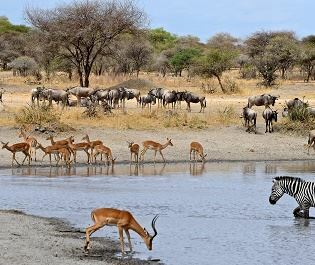 If it's your second or even tenth visit to the continent then the dramatic interactions between mammals make Ruaha an excellent choice. 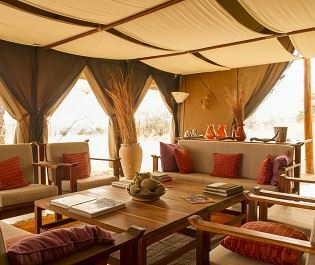 The key to a classic safari is remoteness, tranquility, an abundance of wildlife, and simple designs. 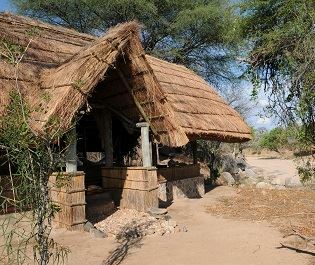 Kigelia Camp has all of these things, and so much more.